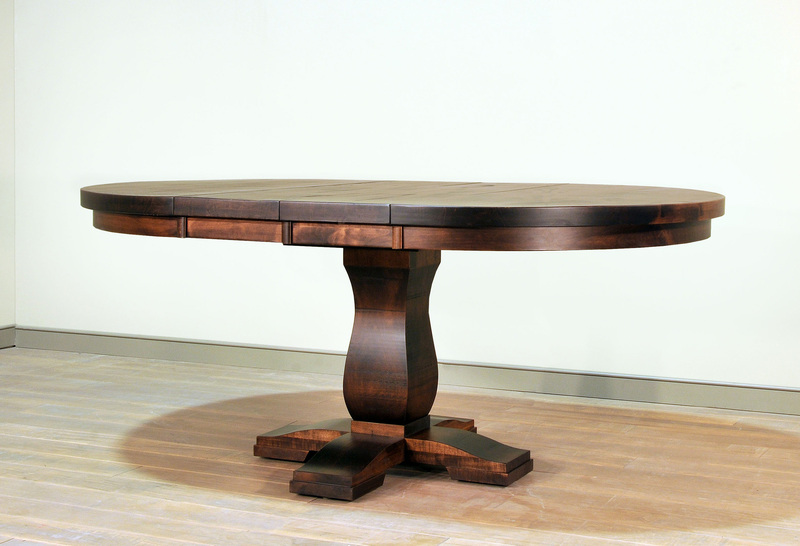 Tuscan Single Pedestal Series Dining Tables. 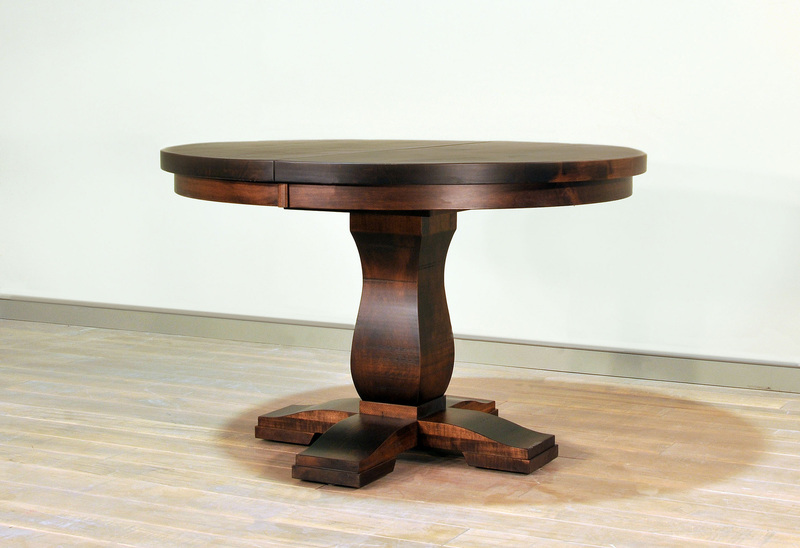 This series pays homage to the classic "Tuscan" style pedestal with the unique rough sawn texture. Solid wormy maple. Tops come standard with square edge and 1 3/4" thickness. Double Pedestal version is also available (not pictured). For sizes not listed please contact us! Two-Toning as please contact us!